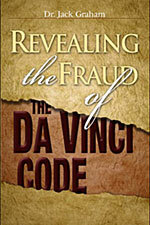 The movie, The Da Vinci Code was a commercial success. In the midst of this, the movie . . . as did the book . . . will lead millions of people into believing lies about the Bible, the person of Jesus Christ, and Christianity itself. As a believer, you need to be prepared to stand for the truth! In this CD message and booklet, Jack Graham gives us the ammunition we need to contend for the faith, as Jude 3 challenges us to do. This combination CD message and 57 page booklet will help you to defend the diety of Jesus Christ, the accuracy and authority of Scripture, and the purity and authenticity of the Christian faith.